Did you know that 88% of consumers trust reviews as much as personal recommendations or that 72% of consumers will take action after reading a positive review? How about the fact that review signals account for approximately 9.8% of total search ranking factors? With stats like those, it’s not hard to see that reviews aren’t just important for your book launch. They’re essential for a successful writing career. 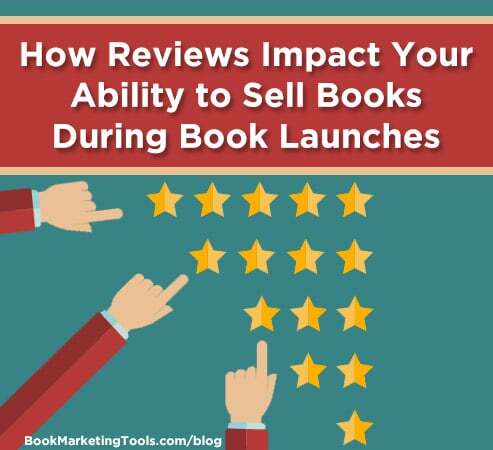 Positive reviews can increase conversions by eliminating potential doubts and persuading readers to consider purchasing your book—sometimes over another. Both your book and author brand gain credibility and trust as your talent and knowledge become clearer to others through reviews. Loads of social proof can strengthen the perceived value of your book, making people feel more confident when recommending it to family, friends, and peers. Since reviews create fresh user-generated content, boost social conversation, increase long-tail keyword traffic, and are indexed and used for search results, they can give your book a huge boost in search rankings, effectively increasing your discoverability at launch. Amazon uses reviews as a ranking factor, which means that a winning combination of keywords, category choices, and positive reviews can help you compete with other titles in your category for the #1 spot. In turn, this drives downloads and sales, which are two more factors Amazon uses for rankings. The positive buzz reviews generate can prolong enthusiasm for your book and bring in more reviews that churn up more buzz. Favorable endorsements from influencers can attract more people in your target audience and pre-sell them on the idea of adding your masterpiece to their library—digital or otherwise. In fact, people don’t give enough credit to the importance of pre-framing from an authority. If there was one tactic an author could look for as a golden ticket for selling books through reviews, it would be to find endorsements and reviews from those with the greatest level of influence in their genre or niche. Reviews can increase loyalty among existing readers as they feel like they’re part of your brand and that their feedback and opinions matter to you. Reviews and ratings can affect your acceptance into certain advertising programs like ReadingDeals and BookBub, which are powerful tools for reaching highly targeted email lists. In addition, reviews provide valuable feedback. Although editors are great for guiding you through many of the organizational and technical modifications needed to ensure your book is ready for market, readers can tell you how they connected with it—whether they liked the plot, your characters, and the perspective from which you tell your story. If you’re a fiction author, reviews can help you determine whether your content was helpful, whether you’re writing at the correct level for your target audience, and more. The result is that you have an opportunity to make necessary changes before your launch or update the published manuscript as you receive feedback. Are you actively running a review campaign? What weird and wonderful results have you seen as a result? We’d love to hear your review stories, so be sure to share them below. You’ll also want to hit the subscribe button so that you keep up to date with our latest posts on reviews, book launches, and more. Don’t forget to download our massive book launch checklist if you haven’t already. Simply click the image below.